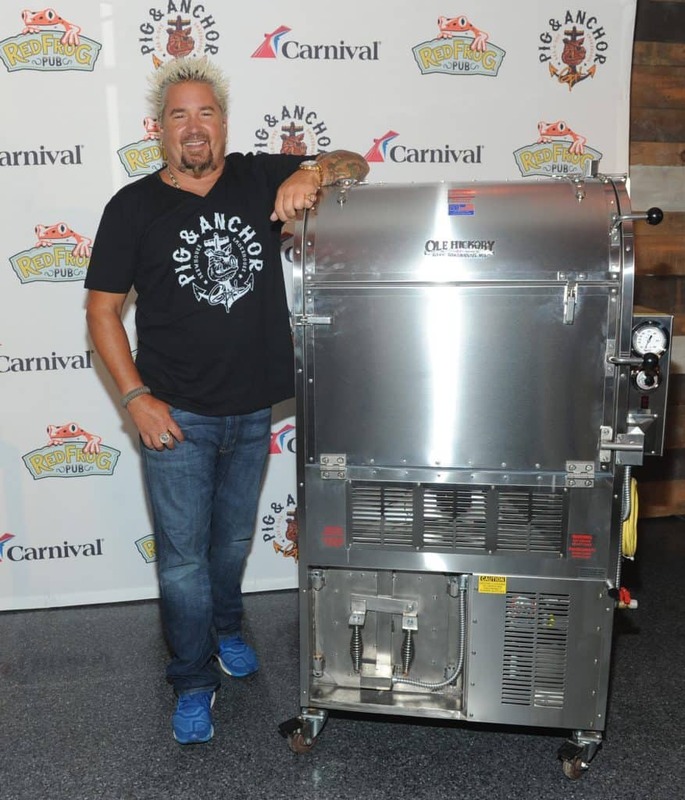 Carnival Cruise Line has announced the expansion of Guy’s Pig & Anchor Smokehouse Bar-B-Que which debuted recently on Carnival Magic. Guy’s Pig & Anchor BBQ features an actual wood smoker, a rarity on cruise ships. new Carnival Vista which arrives in New York in November then launches year-round service from Miami later that month. It will be true authentic BBQ and features an actual wood smoker, a rarity on cruise ships. It will also be added to Carnival Breeze and Carnival Dream next year, so be sure to look for it when booking your next cruise. 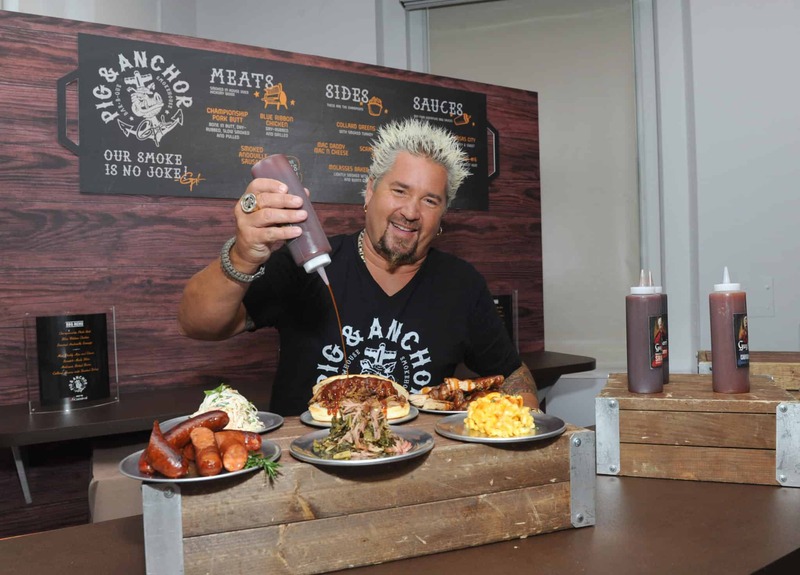 Guy’s Pig & Anchor Smokehouse Bar-B-Que builds upon the chef’s longstanding partnership with Carnival. Guy’s Burger Joints – complimentary poolside venues offering hand-crafted burgers, fresh-cut fries and inventive toppings – are currently featured on more than half the Carnival fleet serving upwards of 100,000 burgers a week, making them the most popular burgers at sea. To compliment the great BBQ, Carnival offers two dozen different varieties of craft beers throughout its fleet with regional favorites available on ships sailing from Miami, Long Beach, Baltimore, Galveston, New Orleans and Tampa, as well as ships that sail to Alaska and Hawaii. The line has also expanded its craft beer options with three distinctly different beers brewed aboard the Carnival Vista at the RedFrog Pub & Brewery – the first on-board brewery for a North American-based cruise ship.